Is your house as smart as you? I mean do your home devices connect to the internet? These days home automation is just not restricted to computers or smartphones, but many others like switches, clocks, lights, speakers, cameras, safety doors, appliances, and much more. Such Smart Home Technology is booming in India that can communicate, follow your commands and send information. Nothing Sci-Fi, it’s all Internet! Smart Home Devices gives you the ability to control things around you using voice command or push button. Modern India is growing swiftly and getting more dependent on technology. While technology integration into the digital world is making everything smarter day by day. Then why leave our homes? Smart homes with technology advancement definitely make our daily life more secure, safe and automated. Now you can wirelessly connect your phone to Smart bulbs. Urban homes in India are preferring Smart lights as it makes the tasks like bulb dim, colors changing, and controlling so easy from anywhere. So now if you leave your home lights switched on, they can be easily switched off anytime even if you’re outside. Syska Smartlight Rainbow LED smart bulb and Philips Hue is so mood elevating to create the perfect home ambiance. 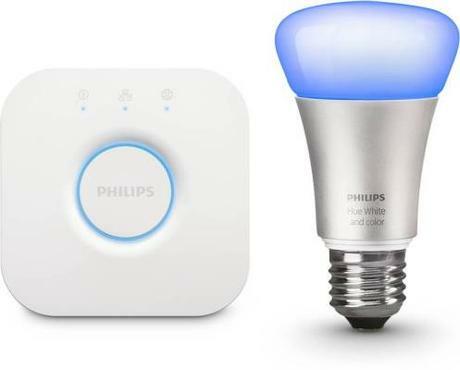 These Bluetooth enabled bulbs can also set to turn on and off as per the user’s requirement by setting a timer. These days youth love to stream their favorite movies and shows online. But now you no more need to connect the laptop to the TV using an HDMI cord to watch on a big screen or buy costly smart TVs. A pint-sized gadget like smart streaming is the perfect and cheap option to stream content from Amazon Prime, Netflix, YouTube, and other hosts. 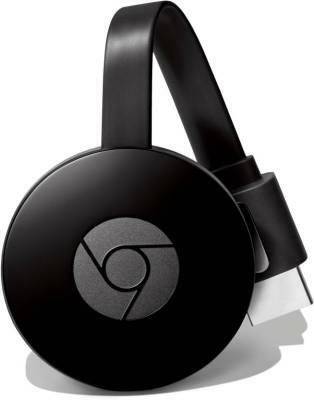 Best Smart streaming devices in India like Amazon Fire TV Stick and Google Chromecast 2 are so easy to operate, affordable, can connect with Wi-Fi & Bluetooth, gives Smooth streaming experience and compatible with smartphones. Initially, Smart streaming devices catered to only the city buyers. But due to increased internet penetration, such smart devices are becoming part of sub-urban & rural areas, especially in the cities having loads of IT/ITeS employees or tech-savvy crowd. Delhi is the most polluted cities in the world and thus Air pollution in India has to be taken care of. We being so dependent on fossil fuels and booming congestion is making the case even worse. These tend to cause many diseases and ailments like asthma, allergy, and cardiovascular problems. Hence smart air purifier investment is the best idea. 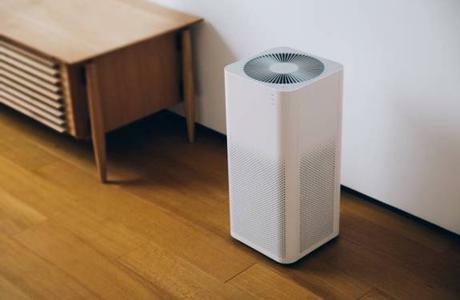 Sleek design, Wi-Fi enabled, smart features make Xiaomi Mi Air Purifier 2 and Honeywell Air Touch S8 the Best Smart air purifiers in India. They help in effective pollutants & allergens removal. These are full-featured home security camera is a must have at home for working parents in India. We all know about the bad cases happening around in India and thus Safety and security matters. Installing wireless and home security cameras will give you a peaceful mind even when you’re outside. Smart Camera have image sensor, sound and motion detection, video recording make them a versatile option for home security and automation. 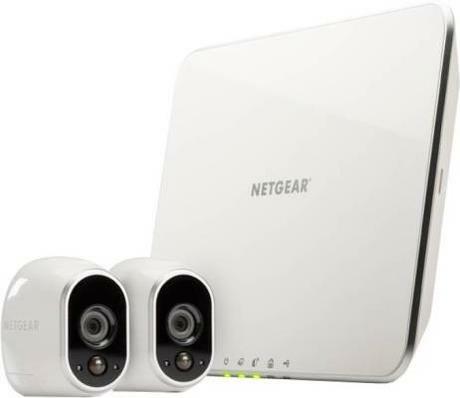 Netgear Arlo Pro 2, Wyze Cam Pan and D-Link Full HD Wi-Fi Camera DCS-8300LH are some popular Home Security Cameras. In today’s digital era security lures and easy connectivity matters and thus buying Smart Home Devices are considered a worthy investment. Plus, the young generation and tech-savvy consumers are very well aware of the additional benefits of these devices. Speakers that don’t just play your favorite music are ‘smart speakers’. These wireless speakers have speakerphone capabilities; NFC enabled and works on Bluetooth. This artificial intelligence with voice control will do anything that you ask from like playing your favorite soundtrack, setting a timer, read for you, phone call someone and more… Amazon Echo dot Smart speaker with Alexa has all the skills integrated and specially made for Indian consumers. The sleek design, affordable price, Good voice recognition, and great usability make it the best Smart Home Device available in India. 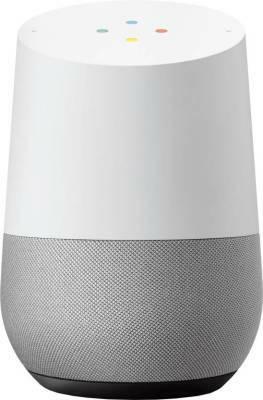 There are other popular Smart speakers like Harman Kardon Allure with Alexa and Google Home. This simple smart device is integrated with smart technology. This is a digital era and we are technology dependent on most aspect of daily life. However, we are also conscious of living life in a sustainable way and keep looking for the methods to conserve resources using technology. So Smart plugs are not just for using on and off command but much more. It all depends upon the plugged in device/gadget that can be easily schedule to turn on & off. These smart plugs can be easily fitted into all ordinary power sockets but are slightly larger in size. Oakter Smart Plugs are a great option to add in your Smart Home ecosystem. 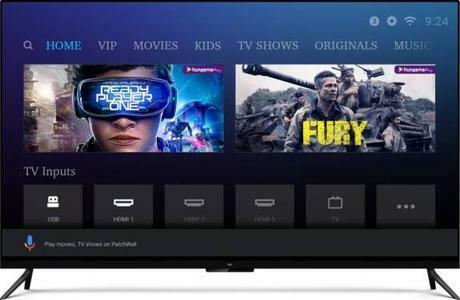 A smart TV has access to the internet that helps it connect to the streaming services, play games, access Google Play Store, run apps like Hotstar, Netflix, and Amazon Prime. Home network like Ethernet or built-in Wi-Fi can be used to access the internet for a smart TV. Some popular 4K HDR TVs are Xiaomi Mi TV 4, 4K HDR TVs, TCL L55P2MUS Android M 4K UHD LED Smart TV and Sony Bravia. The attractive slim design, great picture quality, vivid colors are definitely Value for money and for modern Indian homes. Do leave your views on 7 Best Smart Home Devices and Its Advantages for Indian Customers!! !